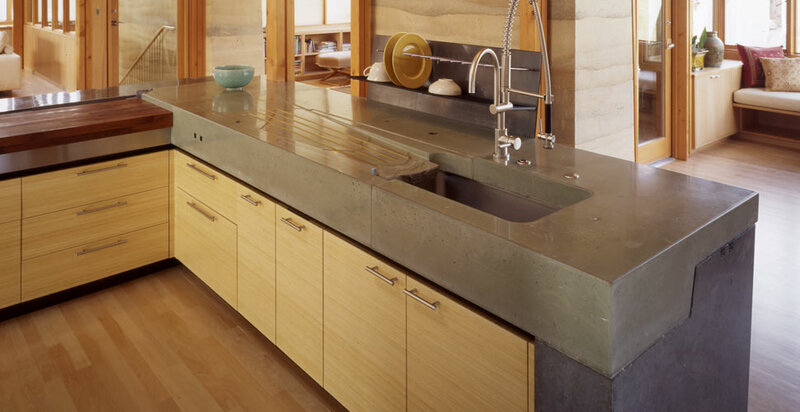 Concrete counter tops are a strong, durable surface that’s almost impossible to scratch or dent. Still, while they’re very tough, they’re not quite indestructible. The concrete surface can stain if you’re not careful, so it’s very important to attack spills as quickly as possible to prevent stains from setting. Here are some tips for helping you keep your concrete in tip-top shape. 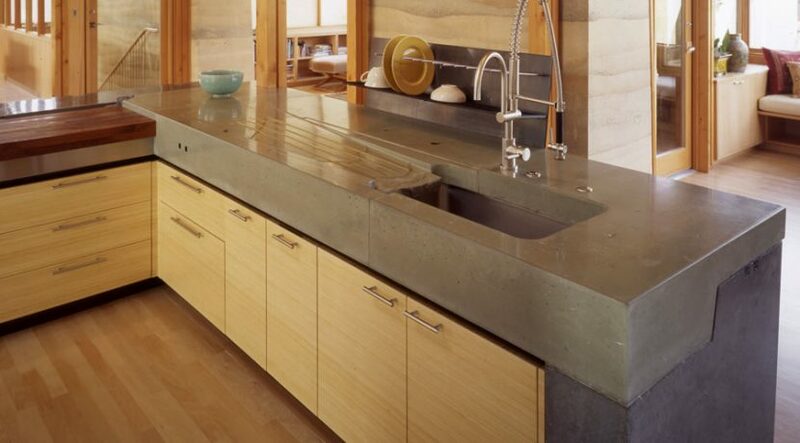 What Type of Concrete Counter Top Is It? These types of counter tops can be either porous or non-porous. Non-porous counter tops have been coated with a sealer. The important thing to keep in mind with this kind of counter top is that although the concrete is practically indestructible, the sealer material is not and can be damaged by cleaners, sharp or heavy objects, and heat. It is always best to use gentle, non-abrasive cleaners for this kind of sealer and protect your concrete counter tops. Porous concrete counter tops, on the other hand, have not been treated with a sealer. These counter tops are the easiest to stain because of their porosity. Therefore, they might require more abrasive cleaning methods and more aggressive scrubbing or wiping. Hopefully your installer has given you advice on which cleaners to use. As a general rule, concrete counter tops in bathrooms are almost always sealed, whereas concrete counter tops in kitchens are less frequently sealed (only most installers recommend sealants). Regardless of the kind of concrete counter tops that you own, it’s always important to wipe them daily and deep clean them at least once a week to maintain them. Remember, concrete counter tops are a big investment and you want to make sure to keep them looking like new for a long time. Mild dishwashing liquid can go a long way when removing stains. The same applies for counter top stains. Simple soap and water are safe to use in both porous and non-porous forms of concrete and for other surfaces such as granite vanities and counter tops. These are two other great household cleaners that can be used on concrete counter tops. These cleaners are also mild and are safe for both porous and non-porous counter tops. This solution will remove very stubborn stains, but, should be used as a last resort; especially for non-porous counter tops (this paste works miracles on copper cookware too). It is important to use products that are formulated to clean concrete counter tops for daily use. There are many products on the market that will clean concrete counter tops while protecting them from damage. One of the most convenient products is PH balanced wipes. These wipes are made especially for concrete counter tops and are safe to use every day. They are easy to use and can help you wipe down your counter tops after cooking. Waxing your counter tops can help avoid tough stains and keep your counter tops looking like new. Applying wax to counter tops is easy and similar to waxing a car. The wax will act as a sealer preventing stains from setting in, making your counter tops easier to clean, and giving them a shiny appearance. Whether you use soap and water, a paste or apply a wax, keeping your concrete counter top looking its best is critical to maintaining its appearance and protecting your investment.